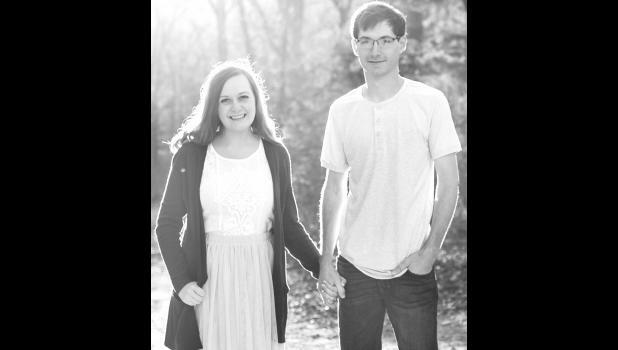 Holly Ann Davis and Justin Robert Abel, both of Emporia, have announced their engagement and upcoming summer wedding. The bride-to-be is the daughter of Corey and Diana Davis of Valley Falls. The future groom is the son of Richard and Joanie Abel of Nortonville. Holly Ann’s grandparents are Amos “Jack” and Linda West of Holton and Clarke and Marveta Davis of Valley Falls. Justin’s grandparents are Robert and Rosemary Abel of Winchester and the late Melvin and Nora Wohlgemuth of Atchison. Holly Ann graduated from Valley Falls High School in May 2013. She graduated from Emporia State University in May 2017 with a bachelor’s degree in elementary education. She is a first-grade teacher at Riverside Elementary School in Emporia. Justin graduated from Jefferson County North High School in May 2012. He received a bachelor’s degree in earth science from Emporia State University in May 2016 and will earn a master’s degree in earth science in May. The couple will be married July 7 in Wetmore and will make their home in Emporia.